Waiting on Wednesday is a weekly meme hosted by Jill at Breaking The Spine. It features each blogger's most anticipated books. This week, my pick is The Lost Girl by Sangu Mandanna. "Eva’s life is not her own. She is a creation, an abomination—an echo. Made by the Weavers as a copy of someone else, she is expected to replace a girl named Amarra, her “other”, if she ever died. Eva studies what Amarra does, what she eats, what it’s like to kiss her boyfriend, Ray. So when Amarra is killed in a car crash, Eva should be ready. Now she must abandon everything she’s ever known—the guardians who raised her, the boy she’s forbidden to love—to move to India and convince the world that Amarra is still alive." Why I Can't Wait: Love the cover! It's simple yet a bit eerie. I think the summary speaks for itself. I love the concept of echos and replacing someone's life if they die. I love that there's forbidden love and the "twist" of having to find Amarra instead of just replacing her. I love it all! Giggidy! Wow the cover is haunting and different!! Not to mention the description already has me HOOKED!! Great pick this week!! This book sounds awesome and I love the cover! It's a refreshing change from all the girls in pretty dresses. I also love the cover ^_^. And this book is on my TBR as well because as you say the summary speaks for itself! This looks really good! Did I see this one was going to be at BEA? This one sounds so interesting! I think the concept of an echo is so creepy and unique. Fantastic pick! 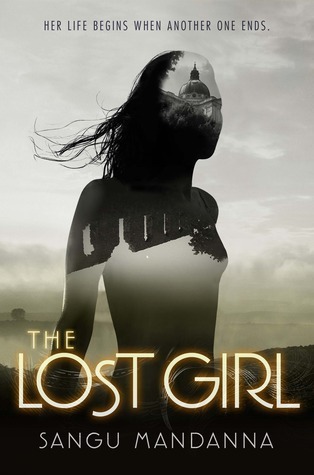 I like the concept of The Lost Girl too! It sounds really interesting. Awesome choice, here's my WoW!